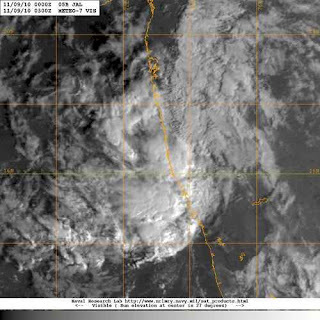 Positioned at 16.4N and 73E, SW of Mumbai, and 1010 mb. Winter drops back to "mild Status" in N.India. Write up on the next week's outlook tonite. Jal probably killed one person at an unusual location. Boulders fell over Mumbai bound Matsyagandha near Karwar on Monday night due to incessant rains killing one and injuring many. Two compartments affected with gaping holes.